In need of some career change advice? Wondering how you go about changing careers or do career change resume writing that will actually get you entree to a new career? Changing careers can be exciting... and scary at the same time. It can also be hard, unless you go about it in the right way. I built a whole section of the site about how to change careers, including setting career goals, getting the training you need, even starting your own business. Access our career section here, if you haven't already seen it. This site is mostly about writing resumes and cover letters, though, so I don't really have extensive information on how to change careers. Because of that, I have gotten quite a few questions here on our Ask the Expert pages that are related to careers. So, to help my visitors get the info they need, I created this Career Change Advice page for my readers to post whatever questions they had about careers, changing careers or career change resume writing or cover letter writing. I hope you find it to be helpful! I am not currently accepting new questions here on the site. I'm sorry, but due to personal concerns I don't have time to answer questions in a timely manner any longer. It seems unfair to allow you to post questions if I'm not going to be able to answer them right away. So for now, I am suspending my "Ask the Expert" features. 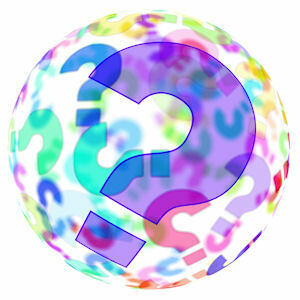 However, there are already hundreds of questions here on the site. So I'm fairly certain you can find an answer here that will fit most any situation. You can certainly scan the category pages to look for relevant topics, but even quicker might be to use our Site Search function. To do a search, just scroll up until you see the "Search This Site" box right above the menu in the left sidebar. Type in your issue and see what comes up. I appreciate you visiting this page and I'm sorry I'm unable to offer the Q&A service at this time. Click below to see more questions from other visitors to this page about changing careers, along with my expert answers. Clicking on the Comments link at the end of a question page may provide even more info or input. What Does It Take to Become a Translator? How do I switch to a new career without experience in the new career? How do I word my resume objective for a change in careers? How do I go about changing my career when I'm underqualified? How to use experience in one field to look good in a different field? How Do I Write a Resume for a Career Change? How Do I Write a Resume When I Have No Experience in the Field I Want to Work? What Is the Career Outlook for Dietitians? When Changing Careers, Do I List My Current Unrelated Job Responsibilities on My Resume? Supplement your income with your own home biz? Need help making a professional resume? Check out this fabulous online resume builder! Grab your copy of these 5 concise reports about every aspect of the job hunt. Don't miss this opportunity to change your life for the better! Sign up to our newsletter, PSRF Career Connection and get free gifts! Copyright © 2004-2014 Powerful-Sample-Resume-Formats.com. All rights reserved.